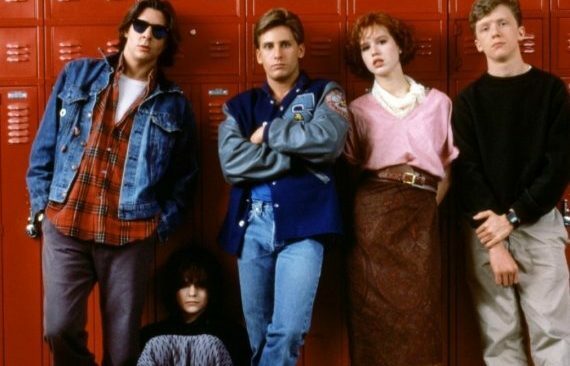 This 1990’s set coming-of-age film is made by first time director Jonah Hill. You can definitely sense his comedic style influencing the way the characters speak but as a debut role behind the camera, does Hill give us something Superbad or is it an example of a Megamind to keep watch of? 13 year old Stevie (Sunny Suljic) lives at home with his bully big brother Ian (Lucas Hedges) and mum Dabney (Katherine Waterston). After witnessing some older teenagers having fun skateboarding, Stevie decides to try his hand at the activity and in turn he makes friends with the crew, even if it does mean he starts skating down some dodgy roads. The transition from indoor gamer Stevie to hanging out outside and christened ‘Sunburn’ is a swift yet glorious watch. He does the thing most youths did when they felt a phase was too babyish for them; he removes posters and adds up more grown up memorabilia and tries adult things in the hope of fitting in. What Jonah Hill does as writer/director is ensure the rite of passage is lovingly documented and the 90’s setting is pretty much the perfect, grungy backdrop to tell the story. As if on its own wheels, this film shuttles by and with Nick Houy’s editing you really feel as if his life is injected with a dangerous spurt of energy. There is a party scene which opens with funky fresh cuts that snap along to the beat of the music and it isn’t just this which shows some sharp snips, the film has a few other, somewhat brutally effective edits enhanced by blasts of sound, which clatter in a shocking way. ‘Mid90s’ isn’t all fast paced masculinity though, there are a couple of touching moments portrayed in the bond between Sunburn and group leader and hopeful skater pro Ray. The way that Ray cares for and likes to see their new member get up and try again is great and they have a well written connection, especially in a silent and sunlit exchange where Ray fixes Stevie up with a new board. It is a mostly solid bolt out of the gates from Hill, aside from one iffy scene at a house party that sees the li’l lead getting hit on by an older gal. Their age difference and following bases he ticks off are met with applause but it’s a tonally weird feeling scene, and if things were the other way around, with an older lad sexually advancing on a younger female then it’d be torn apart, but here it’s treated as a celebration and something a kid should go through to be deemed ‘cool’. Some may view it as harmless and a mildly amusing scene but it didn’t sit right with me. Suljic is a fantastic actor with his youth shining through in the desired places and this childlike wonder adds flavour to his more grown up language and actions. He has this puppy dog loyalty that he acts wonderfully as he plays in a new gang. These sunnier parts are contrasted by some darker elements of his personal life which he attacks with no reserve. Even if skateboarding was never your scene, Jonah Hill writes and directs a film with a neat focus on angst, awkwardness, puberty, brotherly fights and trying to fit in, without ever really messing any of those qualities up. ‘Mid90s’ is a coming-of-age movie rife with skater-boi law breaking and growing pains, which thoroughly reflect male childhood. I’m sure that director Peter Hedges is a proud father of his son Lucas, who in the last few years has been a rising star of great skill, and now they team up for this drama, which sees Peter close a 6 year gap from being behind the camera for a feature length. It’s almost Christmas and after returning from church, Holly Burns (Julia Roberts) finds her son on the doorstep. Ben (Lucas Hedges) has suffered with drug addiction for many years and has returned from rehab but even though Holly sees it as a perfect miracle not all the family can believe his appearance will be a good thing. Setting this film around the snowy traces of New York and the Burns’ suburban home do well in constructing a nice festive mood to ease you into the drama. This wintry vibe makes the later troubles hit like a hammer of darkness and accentuates the family ache of a son who has bought about pain. The film does well in highlighting the great mix of feelings that each member of the family has towards Ben. Considering that ‘Beautiful Boy’ was based on real memoirs, this film does a ton better in narrowing in on the resentments, agony and sentimental wounds inflicted by an addict on the people closest to them. Unlike that Steve Carell mopey, sop-fest, ‘Ben is Back’ feels like a much more resolute film in knowing how to sustain this monstrous shadow of drug temptation as a looming presence over even the shiniest Christmastime. Granted, there are some spots of melodrama and most of that comes from the forceful score to make you well up or feel on edge but on the whole it is a movie which sits back in the comfort that its two leads will storm their way through the narrative with unrivalled clout. The final moment of the story should move even the most stony of hearts and further proves the force of talent within Roberts as an actor. At one point in the narrative, Ben calls his mother out on trying too hard to start up her car to which she responds that is her job as a parent. This trait is perfectly played by Roberts who excels in demonstrating this doting mum slowly losing sight of her son and desperately trying to hold on. Hedges is such an engrossing performer, you cannot help but get drawn into every little expression of anger, fear and twitchy compulsion but the most impacting demonstration of his range is during a festive carol song. It’s a powerful sucker of a scene thanks to the vocals and poignancy of Kathryn Newton singing ‘O Holy Night’ and the wave of emotion shown by Hedges. ‘Ben is Back’ may take a while to warm up to the inevitable dilemmas faced by Holly but once a Christmas Eve drive begins, then Peter Hedges preserves a solid grip on the dynamic of mother and son.